So the quest to do something with our bathroom continues. We've lived here for eighteen months now and this is the one room that hasn't been touched at all. It's damp and grubby with a forty year old suite in it that desperately needs replacing and has a big square double glazed window that I hate. We want to rip the whole thing out and start over but something else always ends up eating into our savings! Aside from the lack of money, we have a severe lack of time too. Simon is working silly hours at the moment and although Daisy goes to nursery, I can't get anything done with Evie around; I don't think her tiling or painting skills are up to much! The whole time/money thing is pretty frustrating really because I know that the bathroom we'd like wouldn't cost that much at all if we had the time to do it ourselves. As always, I've been pinning like a crazy woman onto my (new!) bathroom board on Pinterest (I decided to devote an entire board to it, seeing as it's all I've been thinking about lately. Obsessed? Moi?). Here are a few of the images that have really inspired me. I'm so, so, so in love with these floor tiles. The black and white reminds me of the old 1930s bathroom that was in my childhood home when we first moved in. I adore the boldness and simplicity of monochrome - and that turquoise bath! Oh my. I love this retro shaped mirror and the open shelf. 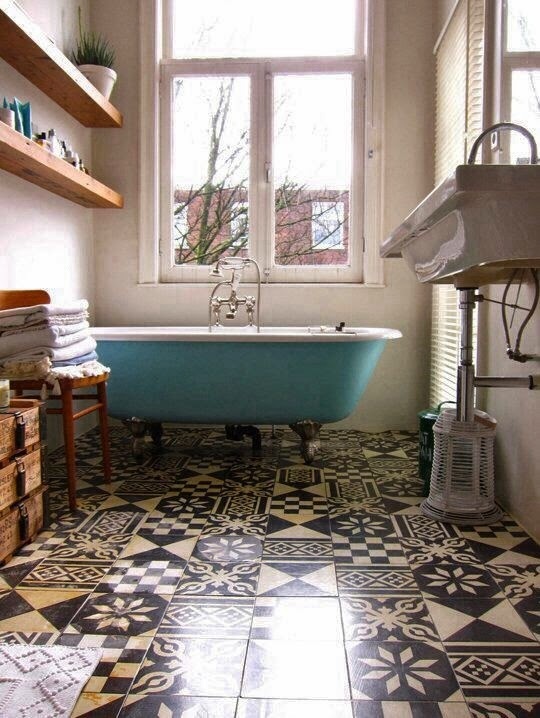 This bathroom has the simplest, and cheapest, of tiles and sinks but still looks utterly lovely - which just goes to show you don't have to spend a fortune to have a beautiful bathroom. I think this is a brilliant idea for compartmentalising bathroom paraphernalia (it looks like an old CD storage unit?) 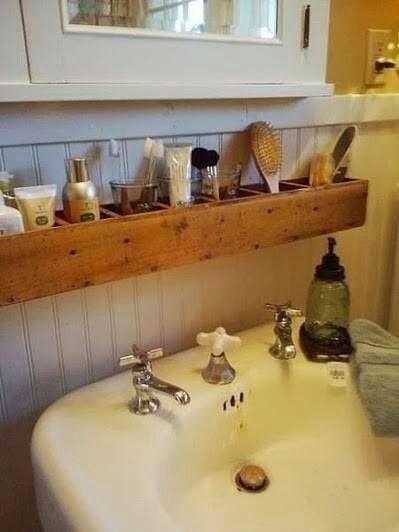 and I love the wood panelling and old sink. From these images alone I've decided we'll definitely be having mis-matched monochrome floor tiles, open shelves and a big, bold mirror as a focal point (we don't have a bathroom mirror at all at the moment!). 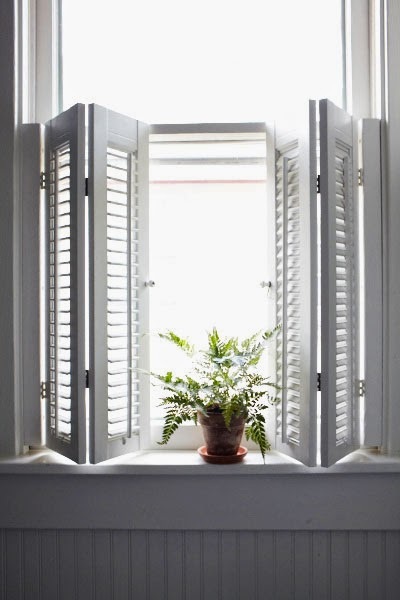 I'd love to keep our suite and the walls pure white - with flashes of green (plants) and brown (wood). 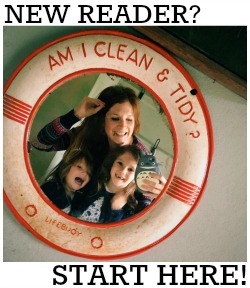 Follow Katy from Modern Mummy's board Bathroom Ideas on Pinterest.